Are you over-vaccinating your pet? Would you know if you were? Do you know about the possible vaccine reactions of every shot? Do you know how long each vaccine's immunity lasts? Spend a day to learn the truth about vaccinating in 2010. Take this rare opportunity to learn what two of the world's most respected and unbiased experts can teach you. Drs. Dodds and Schultz are volunteering their time to this seminar. Dr. Ron Schultz will speak on "What Every Pet Owner Should Know About Vaccines and Vaccination Programs." Dr. Schultz was the US Representative of the World Small Animal Veterinary Association Vaccination Guidelines Group and Board Member of the 2003 and 2006 American Animal Hospital Association Canine Vaccine Task Forces and the AAFP Feline Vaccine Task Force. Click to learn more. Dr. Jean Dodds will speak about adverse vaccine reactions, titer testing, blood tests for wellness, homeopathy to help make vaccinating safer, and more. Dr. Dodds, a former AHVMA Holistic Veterinarian of the Year, consults nationally and internationally on hematology, immunology, endocrinology, nutrition and holistic medicine. Click to learn more. Both speakers will answer questions periodically and at a roundtable Q & A session. Find answers to questions like: Should I give my dog the new Dog Flu shot? How often do I need to do a titer test? How soon should I vaccinate my new puppy? Handouts detailing topics will be provided to participants. Enjoy surprise pet care demonstrations and the showing of Dr. Margo Roman's short film "DrDoMore." When: From 8 AM to 5:00 on Sunday, March 28, 2010. Where: Del Mar Hilton, in North San Diego County, CA, just minutes from beaches (like Dog Beach), Interstate 5, and directly across the street from the Del Mar Fairgrounds and world famous Del Mar Racetrack. Less than 30 minutes from San Diego's airport. Who Should Attend? Concerned pet owners, vets, vet techs and other pet care professionals. Seating is limited. Sorry, no pets. The Whole Dog Journal recommends this seminar. Continuing Education Credits: Vets and vet techs may expect to earn 6 continuing education credits. Dog trainers are can earn 6 CEU's from CCPDT (Certification Council for Professional Dog Trainers). Auction: Pet care businesses and others are donating products and services to be auctioned. They include titer testing (to test immunity to disease); consultations with holistic vets; pet food and supplement baskets; chiropractic care for dogs; dog training sessions; pet care products; grooming; dinner at local restaurants and more. (Products will be promoted on our donation page and to our audience. To donate a product or service, click here.) To see items donated so far, click here. Cost: Admission, which includes breakfast, lunch and a bag of Nature's Variety dog or cat Food, is $115. Sign up with a friend for just $100 each. All proceeds, minus direct expenses of the seminar, benefit the Rabies Challenge Fund. Be a Special Angel of the event and get preferred seating, your name in the program, special gifts and other perks, for $225. Among other things, Special Angels will help us offer "scholarships" to shelter officials and others who make vaccination decisions for rescued pets. Group Discounts: Pet groups and organizations may qualify for a discount on multiple tickets. Write us for details. Lodging: Standard rooms will be available for $99 for a limited time. If you're interested, book right away. The Del Mar Hilton is pet friendly. Pets are not, however, allowed in the seminar area. For reservations or more information, contact Gary Bolotin at the Hilton by e-mail or at 858-764-6046. Printable Flyers: Download a flyer to pass out to friends, family and your pet care professionals. Download a flyer with pull tabs to post in windows and on bulletin boards (cut tabs after printing.) Download a printable flyer for vets. Press release: Click here and we'll send you a press release to alert your group or the media. Jan Rasmusen, national award-winning author of Scared Poopless: The Straight Scoop on Dog Care is hosting this event. The Honest Kitchen, makers of human-grade dehydrated dog and cat food, is our Platinum Sponsor. Sign up below to volunteer to help us put on this event or to donate goods or services or reserve a table or advertise in our journal. Can't make the event? Write us if you'd be interested if we tape part of the event. Please consider a donation, no matter how small, to the Rabies Challenge Fund, the one nonprofit cause that can potentially improve the health of every pet in America and even beyond. • in Phase Two, study vaccine additives (like aluminum, mercury and fetal calf tissue) used in veterinary vaccines and establish a much needed federal adverse reaction reporting system for rabies and other vaccines. The rabies vaccine can cause autoimmune disease, skin and digestive problems, injection-site tumors, seizures, behavior changes and other adverse reactions. The Rabies Challenge Fund is completely funded by donations from concerned pet owners like you. Countless dog groups have donated to the Fund. Watch our video about rabies vaccine dangers. Sponsor this event or run an ad in our program. Click here for details or contact Jan Rasmusen by e-mail or at 858-755-8820. Sign up now while seats are still available. The event includes a continental breakfast and lunch, a bag of dog or cat food, handouts, plus the day long seminar. Click the Add to Cart button at right to sign up now. Special Angel pricing of $225 includes all the above plus special seating, recognition in the program and gifts. It helps us put on this event and fund the Rabies Challenge. profit financially. This is an all-volunteer effort. 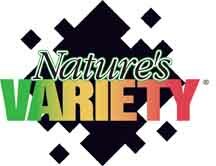 Exciting Bonus for Attending: Nature's Variety, teaming with Dexter's Deli, will give attendees a 5 lb. bag of Nature's Variety Prairie or Instinct, Cat or Dog -- or a 3 lb. bag of Raw Frozen Medallions. Get your coupon at the event. Problems ordering? Call us at 858 755 8820 (PST) Problem with PayPal? :email us with the amount you want to give and we'll request funds from you. PayPal has been misbehaving. $115 Individual Includes breakfast & lunch. $225 Special Angel Includes breakfast & lunch and preferred seating and recognition in the Program Guide. $5 donation Can you make an additional donation? Click here to donate in increments of $5. To make a large donation orbecome a Sponsor, e-mail or call us at 858-755-8820. Every $5 puts us closer to our goal of making vaccination safer for pets. Group Discounts: New! Sign up with a friend and pay just $100 each. Use the button below. If you have a group of 4 or more, and a group discount code, please use the button below and enter the number of people attending. Need a group code? E-mail or call Jan at 858 755 8820. To pay by check or money order: Make the check payable to the Rabies Challenge Fund Benefit and send to Jan Rasmusen, PO Box 675446, Rancho Santa Fe, CA 92067 Make certain you include your e-mail address so we can send reminders and directions. If you don't have an e-mail address, please send your phone number. Problems signing up? Please e-mail us or call 858-755-8820 8 to 6 PM Pacific Time. Group discount rates: 2 or more, $100 each. 4 or more, $90 each. 6 or ore $85 each. 10 or more, $80 each. There is no obligation to help. We'll let you know what needs doing and if you can help out, that would be great. Flyers: Download a flyer to pass out to friends, family and your pet care professionals. Download a flyer with pull tabs to post in windows and on bulletin boards in pet stores, vet offices, etc. (Cut tabs after printing.) Press release: Click here and we'll send you a press release to alert your group or the media. E-mail us if you have trouble with the form. This is a wonderful opportunity to reach hundreds of people passionately interested in pet care. Products/services need not be pet related. Contact us by e-mail or by phone 858 755 8820. Want a table for your business, or would you like to advertise in our seminar booklet? Fill our the form below and details will be sent as they become available. There is no obligation.